Maui weather patterns change dramatically depending on where you are on the island, as Maui hosts a large number of microclimates. 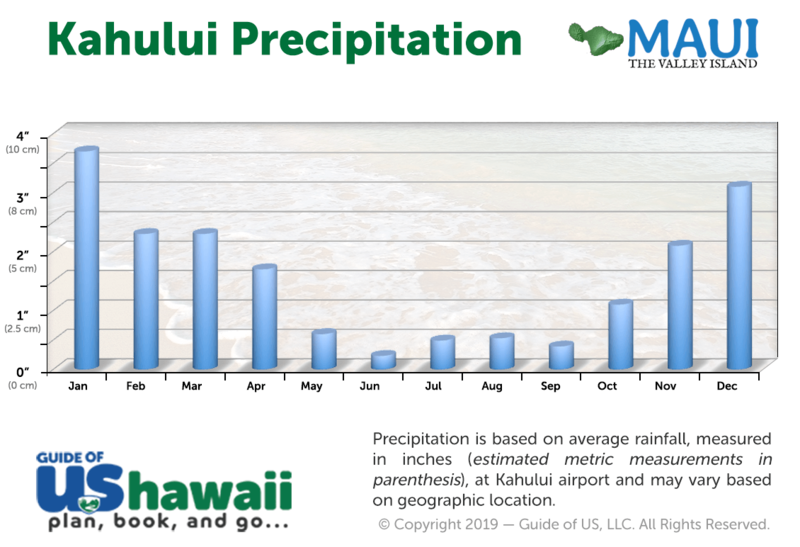 Within a few miles, the average rainfall on Maui can change by several inches very quickly. Let's take a closer look at what areas of Maui are the driest and wettest, as this will help you decide where to stay during your Maui vacation or trip. 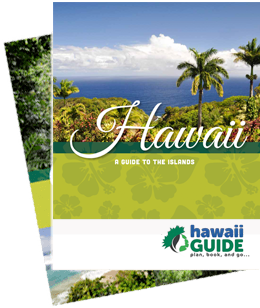 For more information about the best time to visit the island, be sure to check out our When to Visit Maui article. "Great weather" is often defined as sunny and warm - and if so, Maui is definitely the place for great weather. As a bonus, the majority of the accommodations on Maui are located in very dry and sunny areas. Other locations, especially along the northeast coastline, are very wet and lush. Depending on your personal preferences, one location should be easy to select over another. First, we should point out that even in the wettest locations on Maui, rain is hit and miss. One minute it may be raining, and the next the sun is back out - usually with a beautiful rainbow to boot! It's hard to say the wet areas are less desirable than the drier ones because, in our opinion, the lushness is something we WANT to be around; so we tend to select wetter locations on purpose. However, other visitors may prefer sunny and dry weather. The wettest periods on Maui almost always occur in winter, when the tradewinds bring additional moisture to the islands. This period runs from mid-November through late March on average, and some of these systems can carry quite a bit of rain. 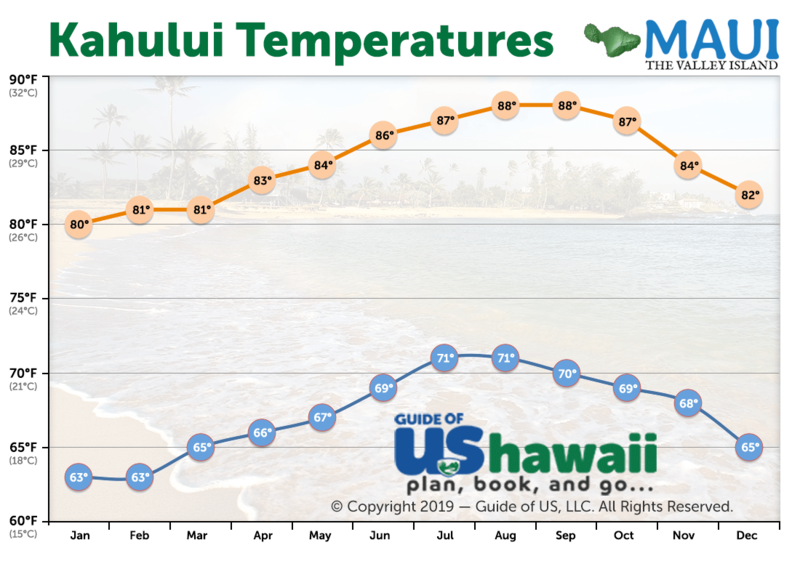 This isn't to say Maui isn't nice during the winter months- it is- but it's also going to mean the likelihood of wetter weather along portions of the island such as the Hana Highway or Iao Valley State Park. The benefit of the extra rain, however, is that the waterfalls along the Hana Highway will really be flowing strong, which isn't always the case in the summer months. There are plenty of ways to enjoy the Hana Highway if it rains. Another major benefit of visiting during the winter is the chance to see the amazing humpback whales off the coast; that's something you also won't see from May - October. So where are the areas with the driest weather and most sunshine year round? Using the map below will help you visualize which areas are driest. Here's our list, driest to wettest. On the South Shore, Kihei, Wailea, and Makena are very dry areas that average just a few meager inches of rain a year. Along the southwest coastline, Lahaina is also fairly dry year round. In the center of the island, Kahului is also very dry. Accommodations are abundant in these areas. Moving north from Lahaina, Kaanapali is your next best bet, receiving slightly more than the areas south of town. Naturally, the further north you go from Kaanapali towards Kapalua, the more rain you'll experience; though it's still a very small amount. Again, accommodations are abundant here, as well. Most locations Upcountry (around Kula) receive 30"-40" (76-102 cm) a year. If you plan to spend a lot of time in Haleakala National Park, this is a good area in which to look for accommodations, although your options are somewhat limited. Moving up to the windward (northeast) coastline, you'll begin to experience more rain the further east and mauka (inland) you go. For example, Paia receives about 40"-60" (102-152 cm) a year, whereas towns just to the east of Paia may receive up to 160" (406 cm) a year, a fairly impressive jump in such a short geographic area. Your accommodations in these areas are often limited to small Inns and B&Bs. This is actually our favorite area to stay because of its proximity to the Hana Highway and Upcountry Maui. Plus, we love the lush scenery. If you're planning to stay in or around Hana for a night or two while exploring the Hana Highway, then rain is fairly likely, especially at night. Hana town itself isn't that wet (80" [203 cm] annually), but the areas surrounding it can be, especially near the Oheo Gulch. Hopefully, you now have a better idea of what the weather is like on Maui, and which areas offer the weather conditions you prefer. It's really hard to select a bad area on Maui, but you can now make the best choice for you and your travel party. Also, be sure to check out our Where to Stay on Maui article for more specific Maui travel tips.